Camp de Les Corts was the second home stadium of FC Barcelona. It served the club from 1922 until the club moved to Camp Nou in 1957. 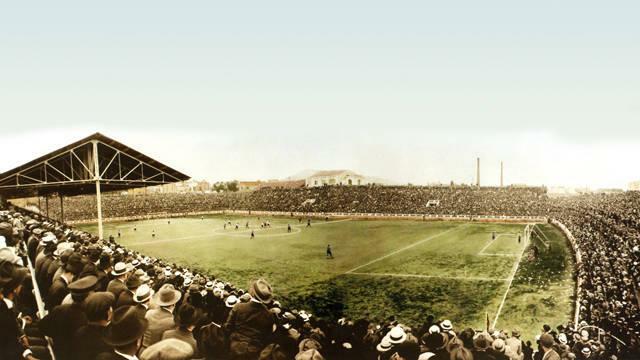 After FC Barcelona had moved from ground to ground in the first ten years of its existence, it finally got a permanent home in 1909 in the form of Camp del Carrer Indústria. The ground, however, soon became too small for the increasing number of Barcelona socios attracted by the club’s successes. The club therefore started the construction of a new stadium, and on the 20th of May 1922 Les Corts opened with a friendly between Barcelona and Scottish side Saint Mirren. The stadium had an initial capacity of 22,000. A few years later, on the 24th of June 1925, Les Corts became the centre in the ongoing battle between the central Spanish authorities and the Catalan people. The context was a match Barcelona had organised in homage to Catalan organisation Orfeón Catalán. The authorities had initially refused to grant permission for the match, but caved after a large crowd showed up anyway. However, as soon as the Spanish national anthem was played the crowd started booing and whistling. The Spanish authorities, not amused, decided to close the stadium down for a period of six months (later reduced to three months). After being back in business, the stadium soon proved to be too small again and got expanded to a capacity of 45,000. 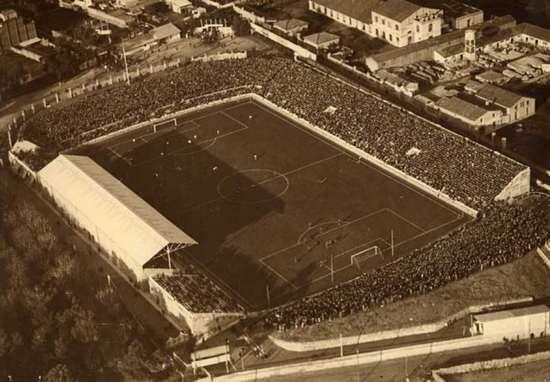 The relatively unsuccessful 1930s and consequent civil war meant that few further changes to the stadium were made in the two decades following, however after successes picked up again in the 1940s Les Corts got further expanded to a total capacity of 60,000. The stadium, again, soon turned out to be too small and plans were made to build a new stadium. Construction of Camp Nou started in 1954 and works finished three years later. 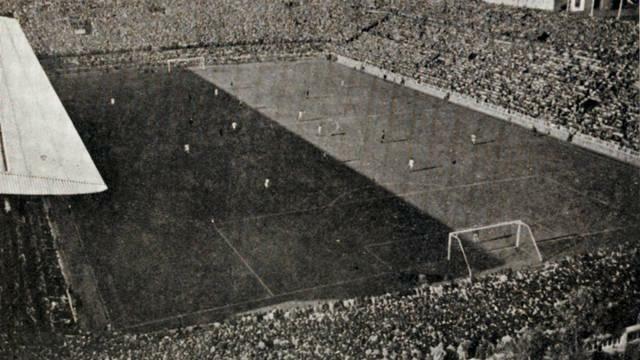 The last match at Les Corts was played on the 21st of April 1957. The league match against Sevilla ended in a 1-1 draw with the last goal scored by Ladislao Kubala. Barcelona had intended to sell the land of Les Corts to a real-estate developer, but as the land was classified as a private green it first needed a rezoning. It took the club eight years to convince the reluctant local government to do this, but demolition of the stadium finally happened in 1966. 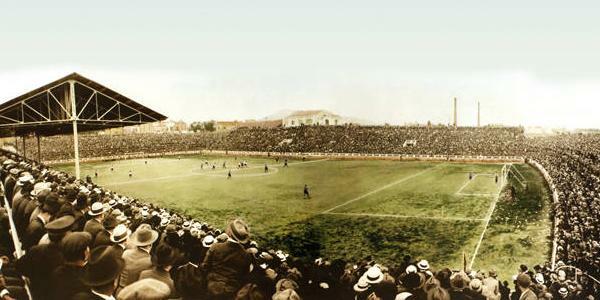 Les Corts was located close to the present-day Camp Nou, just over a kilometre west. A local park named Parc de Les Corts currently sits on the site where once stood the stadium.